If you’re looking for history, heritage, and log cabins, then Townsend Tennessee is for you. 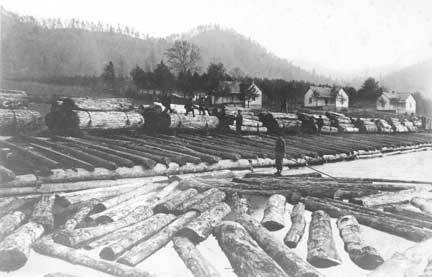 Did you know the the Smoky Mountains were mostly clear cut to make way for cabins and other lumber uses? According to local historians they were. The beautiful mountain forest that you see is not first generation timber. Yet still, The Great Smoky Mountains look as beautiful as ever. The Little River Railroad and Lumber Company help establish the city of Townsend Tennessee in the Great Smoky Mountains. This company created a railroad from Townsend Tennessee to the Elkmont community and beyond. Because of all the hustle, bustle and resources in the area, the Elkmont community and other areas grew in population and popularity. 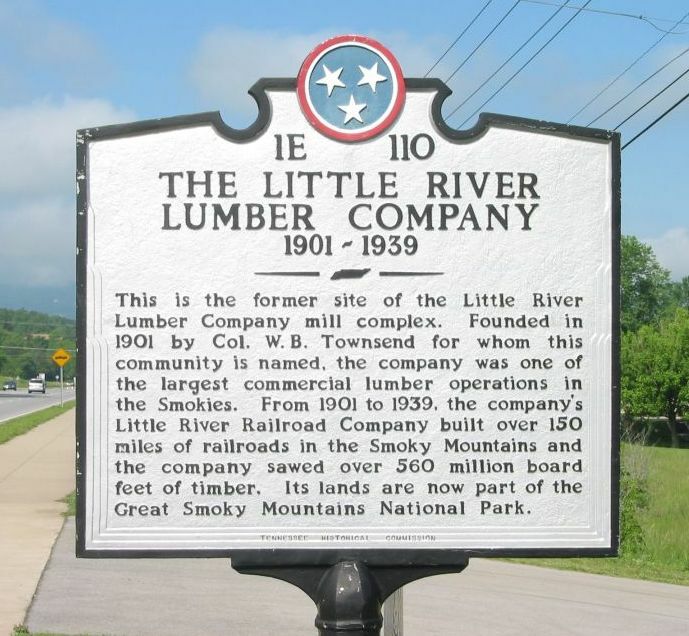 Wilson B. Townsend, the founder of the Little River Lumber Company, ultimately sold off 76,000 acres, and most of that land ultimately formed the Great Smoky Mountains National Park. Much of the lumber was used to build log cabins in Elkmont, Gatlinburg, Pigeon Forge and Wears Valley. If you like cemeteries, Myers Cemetery, circa 1795, is located adjacent to the Townsend Visitors Center on East Lamar Alexander Parkway in Townsend, Tennessee. Pottery from the 1600s and 1700s, when the Cherokee had villages all the way along Little River. Former Cherokee winter and summer houses have been discovered. Grooved ax heads from 500 B.C. to 500 A.D. The oldest items are pit features that date back to 2000 B.C. Donald Kenneth “Don” Sundquist, the 47th Governor of Tennessee from 1995 to 2003, has 10 acres and is said to live in Townsend Tennessee. Townsend Tennessee is just a hop, skip and a jump from Knoxville, Gatlinburg and Pigeon Forge. Gatlinburg to Townsend 45 min (22.8 mi) via US-321 S.
Much of the railroad tracks were removed in secret in the 1920’s. The park’s history has an archival storage area located at the Department of Energy’s Office of Scientific and Technical Information Storage facility in Oak Ridge. Artifacts from this area can be found there. There is a Little River Lumber Company Museum in Townsend, and it’s always free of charge. The museum hours are different depending on the time of the year.